One in 10 Americans are suffering from Depression at any given time. Are you worried someone you know may be more than just sad? It is often hard to know the difference between Clinical Depression and sadness. In this 4-minute Ted-Ed video, Helen M. Farrell examines the symptoms and treatments of depression, and gives some tips for how you might help a friend who is suffering. An individual waits and average of 10 years to seek help for depression. Did Miriam Carey have Postpartum depression? We may never know whether Ms. Carey was suffering from postpartum depression when she drove from her home in Connecticut with her 1-year old daughter to Washington, DC., where she lost her life after being shot by police. At approximately 2:00 in the afternoon on Thursday, October 3, Ms. Carey rammed her car into a temporary barrier in front of the White House, then lead officers on a chase down Pennsylvania Avenue. Police cars surrounded Ms Carey’s car at Garfield Circle, just south of the Capitol. 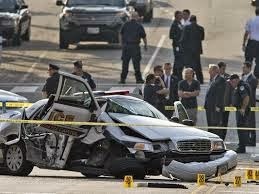 Ms. Carey then rammed a Secret Service car (pictured below) in an attempt to escape. 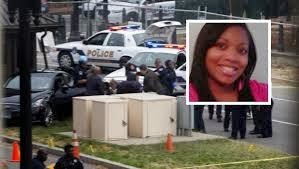 At this point, officers began to fire shots at Ms Carey’s car. She then drove to Constitution Avenue before eventually stopping in the 100 block of Maryland Avenue NE, near the Hart Senate Office Building. She fled from her car on foot and was shot and killed. Her daughter, who had been in the backseat, was unharmed. Ms. Carey’s mother, Idella Carey, stated her daughter had been suffering from postpartum depression and had been hospitalized once for the condition. Other relatives stated Ms Carey believed her apartment was under surveillance and that she was being stalked by President Obama. Amy Carey-Jones, a sister, spoke to Ms. Carey about a week ago and believed her sister was fine. Postpartum depression can be difficult to diagnose and monitor. It is possible Ms. Carey had a severe form of the disease, Postpartum Psychosis (PPP), a rare condition that affects only 1 or 2 women in 1000. PPP can suddenly come out of nowhere and present any time up to one year after the birth of a baby. Sufferers and their caregivers are usually totally unprepared with how to cope with the symptoms of this disease. Carina Storrs from The Seleni Institute describes PPP, its possible causes, treatments, and recommendations for help in her post The Truth About Postpartum Psychosis: There is more to this devastating condition than what the media reports. One of the most difficult aspects of PPP is that the new mother does not believe she is ill, and she will often be very resistant to treatment. Additionally, the worldwide publicity surrounding some especially gruesome PPP outcomes (Andrea Yates drowning her 5 children in 1991) has added to the negative stigma associated with any postpartum mental illness. Because there is so much misinformation, many new mothers with even slight symptoms can become scared and refuse to seek help. The vast majority of women who do develop this rare illness are never a threat to themselves or their children. Early treatment from a qualified mental health professional can have a significant impact on alleviating the symptoms and speeding the treatment of this disease.